What is the big concern here? 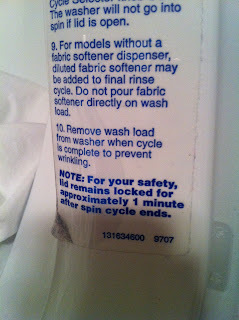 That I'll just be sucked right INTO the spin cycle?! 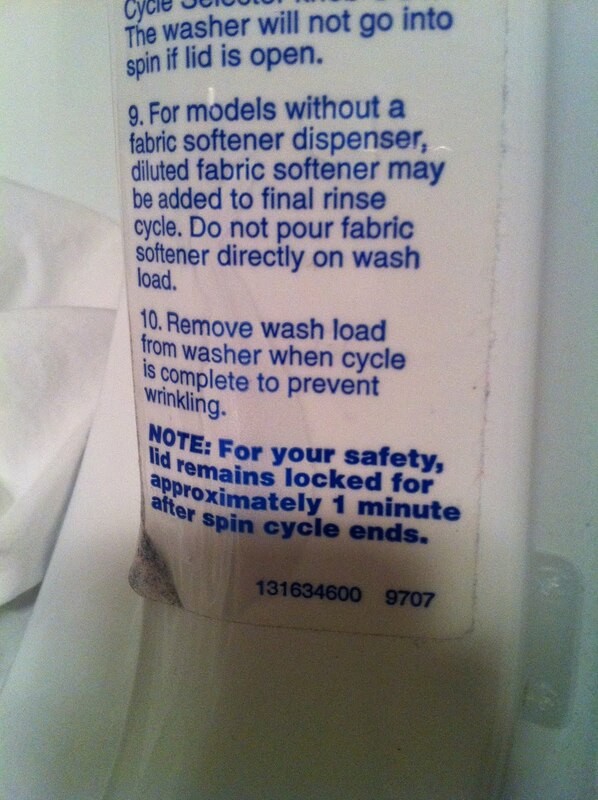 Was I in danger around my old washing machine without this safety measure in place? Read this if you have a few minutes, and with a box of tissues close by. I have had this saved in my RSS feed since June because I saw that it was 25 minutes long. Watched it tonight and it was worth every minute. As great as you'd expect it to be. A reminder from Kara that this is still the greatest city in the world. What a fantastic video. Captures the essence of this tiny island perfectly.